Learn about applied behavior analysis - ABA autism therapy, currently the most effective treatment for autistic disorder. Teaching autistic children, through the use of ABA training, helps to establish verbal behavior, imitation, and eliminate stereotypical behavior. ABA schools for autism are considered the best option for children with pervasive developmental disorders (PDD-NOS). However, the application of additional therapies, such as speech and occupational therapy for children are very important for treatment success as well. Without these methods of teaching, many children having characteristics for autism or PDD-NOS would lack communication abilities. While Behavior Analysis is the scientific study of behavior, Applied behavior analysis (ABA) involves taking what we already know about behavior, based on principles of behavior, and using this information to bring about a positive change. Behavior analysis involves evaluating and assessing the biological and environmental variables for an individual and determining how these affect the individual's behavior when applied. The behaviors are defined in observable and measurable terms to assess progress over time and then analyzed in the environment to determine external factors that are influencing that behavior. Different factors involve stimuli in the environment that affect the rate of responding by causing it to increase or decrease over time. Applied behavior analysis can be used in a variety of settings, across a wide range of subjects and on a variety of behaviors. When used in autism treatments or with other pervasive developmental disorders, it typically attempts to increase socially significant behaviors and decrease socially undesirable behaviors. •	To reduce undesirable behaviors (eg, self injury or stereotypy). 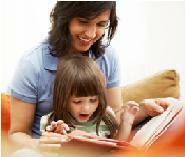 ABA programs are usually implemented by ABA therapists. This can be applied in the home under the supervision of a Board Certified Behavior Analyst (BCBA) or as part of the curriculum at ABA schools for autism. 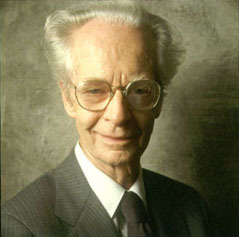 Behavior Analysis was originally illustrated by B.F. Skinner in the 1930’s. Some of you may have noticed that my last name is also Skinner if you took some time to read the page about Rachel. B. F. Skinner was my Great Grandfather. Just Kidding! I wish! No really, I don’t know of any relation, but I also do not have access to my family tree from my Grandpa Skinner’s family. I suppose I could pay a lot of money to research it, but then I would lose the dream of that small chance we are related if proven otherwise. I like to think there must be some connection for me to have taken such an interest in behavior analysis, which has always been very easy for me to understand. Despite B. F Skinner describing this science in the 1930’s, it wasn’t really until the 1960’s that ABA for children with autism became prevalent. This was when Dr. Ivar Lovaas began applying behavior analysis to the behaviors of children with autism in an intensive 40 hour per week curriculum for 2 years in which 50% of the children became indifferent from peers and the other 50 % became greatly improved (2). You may have heard of the book titled Teaching Developmentally Disabled Children: The ME Book written by Ivar Lovaas. This is a great book if you are hoping to learn how to use ABA yourself. Dr. Lovaas' program involves providing each child with an individualized plan that outlines specific behaviors in objective terms that the child is in need of improving or eliminating as part of their behavioral repertoire (set of characteristic behaviors for that child). 2. Malott, Richard W. A Brief History of Behavior Analysis and Autism.www.dickmalott.com.